If you are looking for the best professional residential landscaping and lawn care services in Charlotte NC, then look no further. 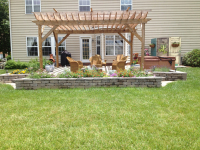 We are a 5 star landscape design, installation and maintenance company providing our award winning services to the Charlotte, Indian Trail, Matthews, Gastonia and surrounding North Carolina areas. 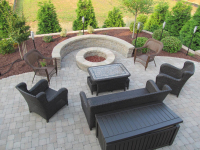 Whether you need landscape design, installation, lawn care maintenance, driveway installation, walkway installation, firepit and patio installation, outdoor grilling island installation, swimming pool installation, or retaining wall installation, we can do it all quickly and affordably! Contact us Today for a FREE Charlotte Landscaping Estimate!